In the turbulent aftermath of the financial crisis, one recent development is particularly startling: the resurrection, without warning and from an unknown realm, of mortgage debts previously settled and buried. A recent article in the Huffington Post reports on several of a growing number of cases in which homeowners who had paid off and received confirmation of closure on past loans were suddenly confronted by former creditors with demands for payment. As the article reports, these specters are not so easy to shake: “sometimes haunting [homeowners] all the way to foreclosure” (Conlin 2012: np). It seems that the morass of foreclosure documents processed by “robosigners” and “affidavit slaves” – the below-minimum-wage workers hired by banks to pose as VPs and corporate attorneys in order to “foreclose on as many homeowners as fast as possible” (ibid.) – has not only separated many mortgages from their rightful owners, but has acquired occult properties capable of bringing dead and buried debts back to life. These revived debts have manifested in a number of forms: “In some cases, mortgages that were supposed to die off in a refinancing are popping back up, while in others, the loans were paid in full. Homeowners who pay off their houses through bankruptcy programs are also falling prey. So are homeowners who never even had a mortgage to begin with” (ibid.). The self-regeneration of debts past, or debts never born in the first place, makes starkly visible the broader conditions of which the subprime mortgage crisis is simply one particularly violent instantiation. Undead debt – debt that will never be escaped through repayment – underlies the financial crisis as a whole, in more fundamental ways. On one level, “zombie mortgages” – mortgages in which an individual owes more than the home is worth, and which may be in a limbo between default and foreclosure or any of a number of legal states of suspended animation – have been discussed over the last two years as a significant unknown quantity affecting the prospects for economic recovery (see Barry 2011; Suleiman Law Group 2011). As stated on the blog of one law firm, “[t]hey’re the necrotic elephant in the room” of economic recovery. On another, more fundamental, level, the impossibility of repayment is at the heart of contemporary debt itself. 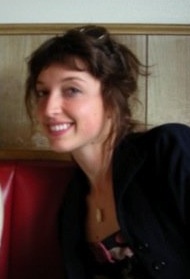 As Morgan Adamson writes, drawing on Gilles Deleuze’s Postscript on Societies of Control, in contemporary capitalism “financial debt is only an index of a form of life that is itself generated through debt”, a constitutive debt that “can never be repaid” but governs social life through an indefinite deferral (2009: 98). In very concrete ways, debt has become the precondition of social life in general, the necessary point of access to education, health care, etc. that forecloses our collective potential by demanding that every moment of growth and creation be calculated with the obligation of repayment in mind. In the story of one family under attack from an undead mortgage, this is starkly illustrated as multiple forms of debt are brought together by a mortgage that “resurrect[s] itself, trashing their credit report, scotching their son’s student loans and throwing the whole family into foreclosure” (Conlin 2012: np). As Jason Read argues, “debt is not just some way of affording a home, an education, a car, without cash, but it is the exploitation of these various needs, a way to make profit off all spheres of life and all relations” (2011: np). The increasingly derived forms in which debt is currently sold and resold transform the basic conditions of social life (including, in the case of student debt, the life of the mind [Adamson 2009]) into monetized relations subject to speculation. At its most basic level, debt is a relation of dependency – on housing, education, health care, etc. – monetized (Read 2011). Debt thus always operates at the intersection of a moral economy and a money economy. As Read argues, “[t]he idea of paying one’s debts is nothing other than a moral idea, an idea of an absolute moral obligation transposed into the realm of economy”, one belied by the economic justification of interest as a compensation for the creditor’s risk (ibid.). “Debt and the calculation of life and activity in terms of risks and benefits are not just a set of ideas, they are a way in which subjectivity is produced and governed. Debt is not just a set of ideas one has about obligations, but an experience, a suffocating experience of what is possible or desirable” (ibid.). The specter of resurrected debts and zombie mortgages in states of limbo – accumulating fees and damaging credit scores while awaiting a continually deferred ‘processing’ – illustrates in particularly stark terms the reality of an ongoing and “indefinite debt” (Adamson 2009), while also undermining the moral economy that attends financial debt. The confused mess of largely illegal practices with which bankers have rushed through foreclosures in the wake of the crash has produced new and grotesque bureaucratic traps in which perfectly ‘responsible’ debtors can be caught. This is a debt that seemingly comes from nowhere to attack indiscriminately ‘responsible’ borrowers or even those who never borrowed at all. Such resurrected debts break through the pretense that debt is a choice – a contract to be intentionally entered into – rather than the general condition of contemporary life. In doing so, perhaps they offer a point of access for a politics of debt refusal that would necessarily begin by rejecting the moralizing force of debt. 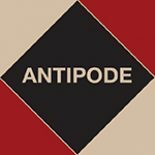 This entry was posted on 20 February 2012 by Antipode Editorial Office in News and tagged debt, debt refusal, dependency, financial crisis, financialisation, moral economy, mortgages, subprime mortgage crisis, zombie mortgages.